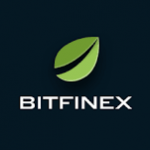 Founded by Raphael Nicolle in the year 2012, Bitfinex is the world’s biggest Bitcoin crypto exchange. The exchange has been based in Hong Kong and it had handled over 5.77 million respective Bitcoins in the year 2017. Bitfinex closest competitor is Kraken which handled over 3.65 million Bitcoins in the same year, which is roughly half the number when compared with Bitfinex. You should know that iFinex is the private company which is the owner of Bitfinex. Today, Bitfinex maintains a robust reputation around the world and has emerged as one of the trusted and larges crypto trading platform, respectively. The customer service at Bitfinex is dedicated and you can expect a revert back in like 12 hours, once you raise a ticket. However, you can contact the customer support 24×7. So far, we have had a couple of positive experiences with their support. When it comes to the daily trades for all the cryptos, Bitfinex is responsible for the handling of over $2 Billion USD worth of tokens. The current average daily trading volume for BTC/USD pairing rests at $600 million USD. The BTC/USD pairing at Bitfinex accounts for 6.27% of the whole crypto market around the world. There are over 72 different crypto market pairs available on Bitfinex for users. Also, you can get access to fiat deposits. Some of the available cryptos are Bitcoin Cash (BCH), Bitcoin (BTC), Litecoin (LTC), Ethereum (ETH), Monero (XMR), Litecoin (LTC) and more. On the other hand, support for fiat currency includes Japanese Yen (JPY), Euro (EUR), Great Britain Pound (GBP) and the United States Dollar (USD). What comes as an important fact is that Bitfinex is widely known for attracting various big institutional investors. You can even get access to Over The Counter (OTC) trades on Bitfinex. Talking about the functionality available at Bitfinex, the platform is solid, comprehensive as well as a great degree of customization is possible for users. It can be said that for new users, trading is not at all confusing at Bitfinex. You can make use of a dashboard where all the information is readily available on demand. You can also see trading charts as well as make use of advanced charting tools to gain a trading edge. What comes as a great functionality is that Bitfinex also offers a dedicated smartphone application for both, iOS as well as the Android users. The application can be used to conduct trades as well as stay updated with the latest news concerning the crypto market. A user can download the application from respective app stores. As a matter of fact, Bitfinex has attracted much controversy due to a couple of hacks. However, today Bitfinex maintains a dedicated level of security for its users. The platform makes use of almost every security protocol which is in current usage by major crypto exchanges. You should understand that Bitfinex only keeps 50% of the entire funds in the hot wallets and rest are stored offline. The exchange features a heavy database encryption protection support as well as DDoS prevention support. You can even enable the two-factor authentication and captcha service for added security. PGP encryption is also used at Bitfinex to secure the transactions and funds.